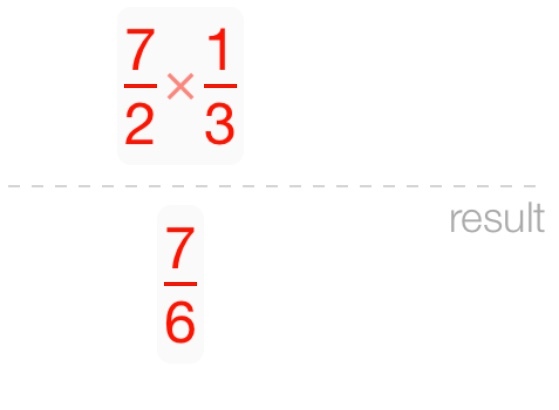 There’s been a lot of twitter and media buzz about a new app that scans math questions and gives answers. Dan Meyer has compiled some thoughts on the app over on his blog, and he has been commenting on Twitter as well. I decided to test Dan’s comment with (what else?) a test. 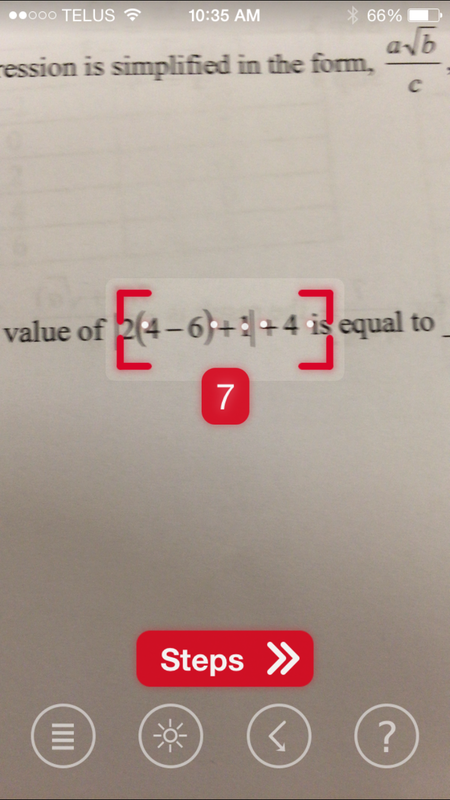 I gave the app one exam from each of grades 7, 8, 9, 10, 11 and 12. 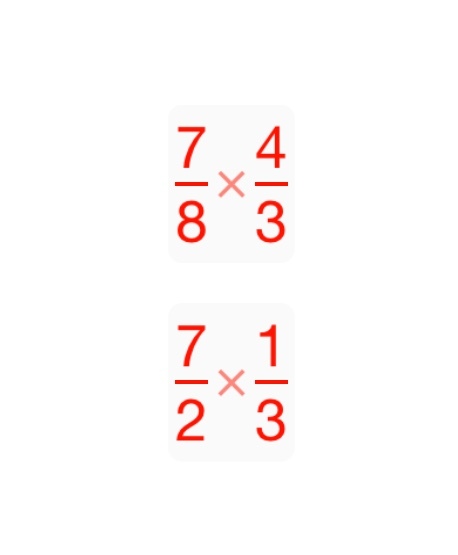 My conclusion is that it doesn’t solve them anywhere near as well as most kids would. Full disclosure: The grades 10, 11 and 12 exams were ones I created, and I’m always conscious of trying to avoid having questions that can be answered with a calculator alone. The grades 7, 8 and 9 exams were from a publisher. I tried to pick topics it had a shot at solving. I tried to pick topics with mostly number and equations. The app got 0/30 on my exam. On the questions I thought it should be able to answer, it got 0/10. This one was its most blatant error. I did have it centered properly prior to snapping a screenshot. It registered the 2, and ignored it. These were its first steps. It had trouble recognizing that square bracket. 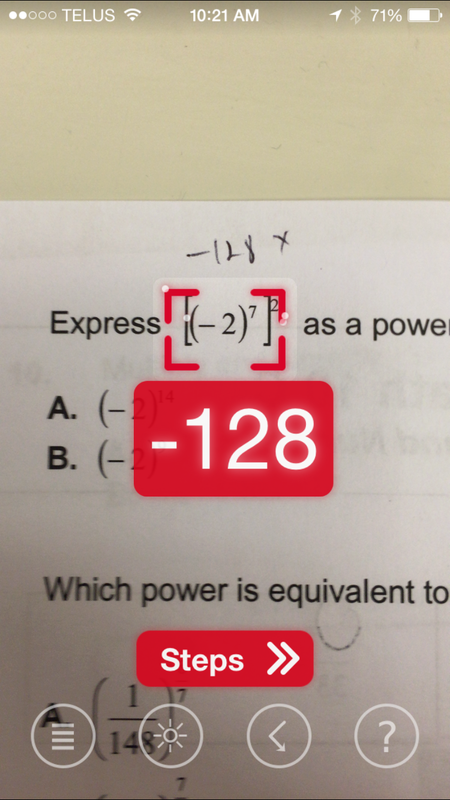 The app got 3/32 on my exam. On the questions I thought it should be able to answer, it got 3/13. I was a little surprised. Clearly I need to tweak some questions. Here’s one it got right. The app can’t recognize logs, or manipulate anything but the most rudimentary equations. It got 0/30 overall and 0/9 on the ones I thought it should get. 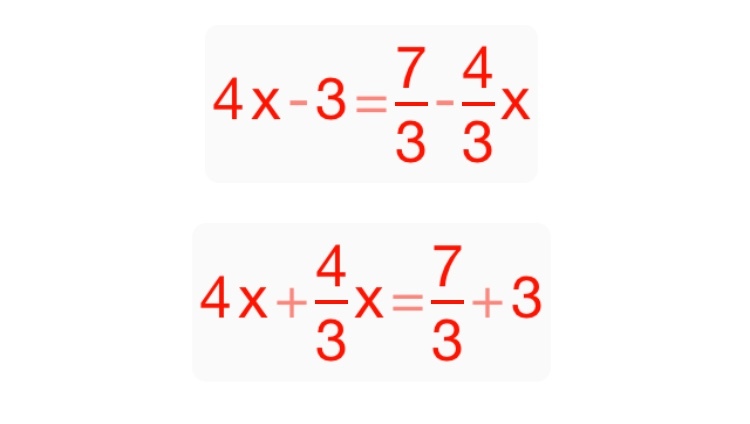 The app struggles with brackets. 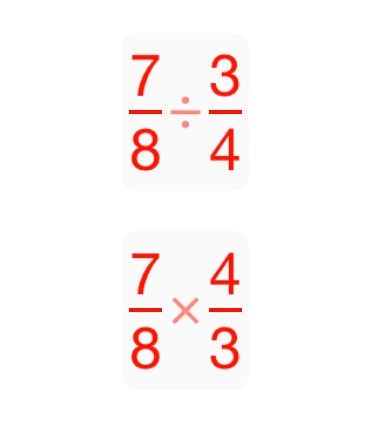 I hovered over expressions like (-2) + (4) – (-7) endlessly waiting for an answer of any kind (right or wrong) and never got anything. It got 0/20 overall and 0/9 on the ones I thought it would get. 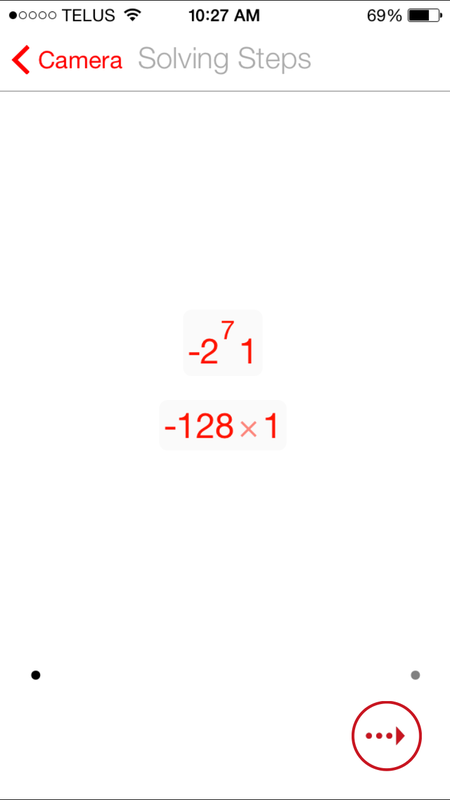 The app nails fraction calculations. It got 7/20 overall and got 7/7 on the ones I would have expected it to get. Here’s one it got right. The app got 6/20 overall and 6/6 on the ones I would have expected it to get. It solves basic equations (no logs, no powers, no quadratics, few brackets) correctly every time I try it. Some of the steps seem convoluted to me. I’m not sure this is the game changer some people fear it is. It’s a calculator, and not a particularly accurate one. As long as we’re asking the right questions, let them use this app. Just have them check their answers on a calculator.